This app provides a desktop environment for UCS system. It allows direct access to the webbased administration interface from the server. It includes among others KDE as desktop and Mozilla Firefox as browser. The app is of interest for administrators the want to do the administration with browser directly on the local server. 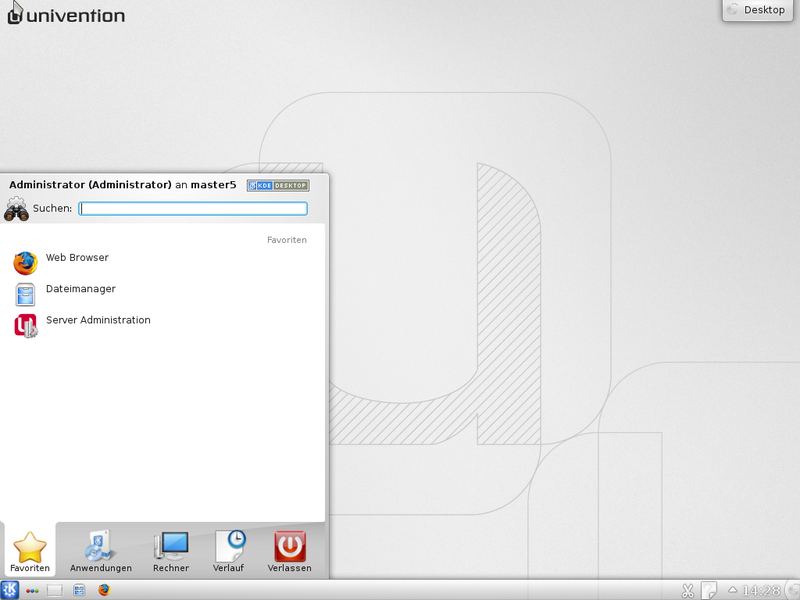 Download UCS and activate Desktop Environment (KDE) directly from the App Center.